There are few, if any, public school swimming programs that can refill its roster from year-to-year as well as Sunset. The Apollos lost three of the more highly decorated girls' swimmers in program history when Alayna Connor, Lindsay Swail and Angie Lindsay. Not to mention Cat Gillis, who gave Sunset a lift in the postseason. Sunset swept the Class 6A state championship and Metro League title, usurping Jesuit in a memorable two-week span. That crew set the bar for the program going forward. This year's team of Apollos is far from hollow. There won't be a full-scale rebuild. With stars such as Lily Gardner, Tia Lindsay, Nikita Lindsay, Rachel Chin, Olivia Bowne and new blood raring to leave an imprint, Sunset isn't going anywhere. The Apollos polished off their first dual meet win of the season on Dec. 6, beating Mountainside 131-39 at the Aloha Pool by sweeping each individual event and all three of the relays. "We're hoping for first at state again," Sunset sophomore Lena Weidholz said. "We definitely want to be in that top range." 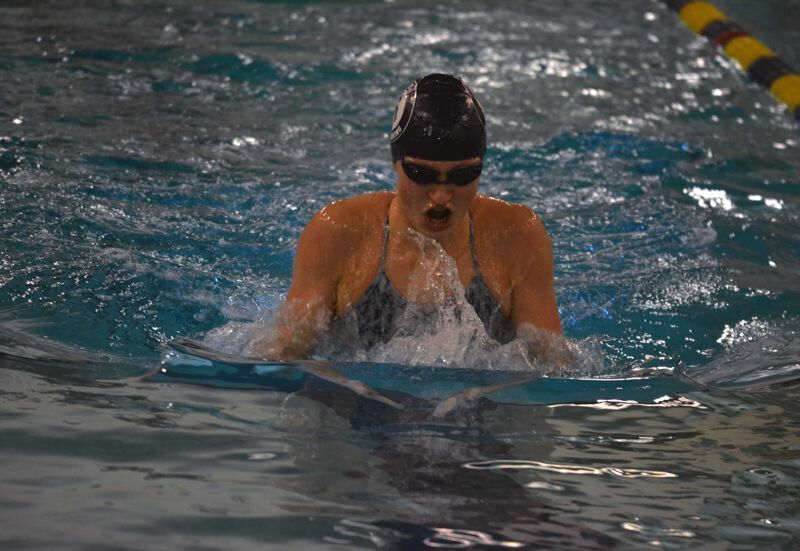 Freshman Hannah Trainer looks like another star in the making, a multi-dimensional swimmer who won the 200 individual medley and 100 breaststroke and chipped into two triumphant relays. A celebrated club swimmer for Tualatin Hills with a strong grassroots resume, Trainer is a new addition making an instant impact for a Sunset team not lacking in star power. "It's challenging because (Sunset) lost four really fast seniors and really only gained me, so I have some standards to uphold," Trainer said. "I want to win and do well at districts. I want those expectations early in my freshman year so I can build throughout my high school career." 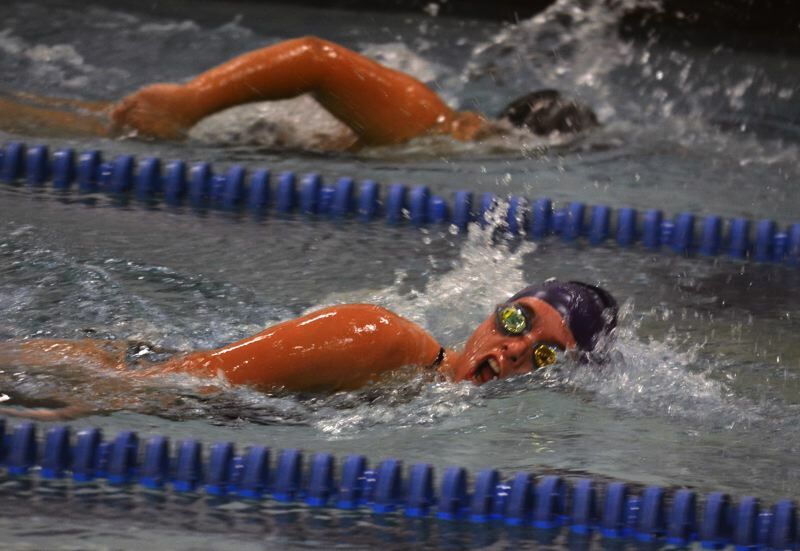 Weidholz said the Apollos have created an even deeper inclusive culture that encourages the club swimmers to buy into the high school team's chemistry. Oftentimes club swimmers don't practice with their high school teammates, though they participate in all of the meets. And some of Sunset's club swimmers compete for different clubs, so the familiarity isn't there. To prevent cliques in favor of breeding team unity and team pride, Sunset's captains come up with a list of pre-meet goals like "high five as many people as you can" and cheering for each swimmer. "We're more of a team this year than we were last year," Weidholz said. "I definitely feel like there are better connections between people. We all talk to each other more. We're pretty strong and we're all working hard and motivating each other." Tia Lindsay was a two-time state champion as a sophomore in the 200 IM and the 400 free relay and Gardner was a key component of the state record-breaking 200 free relay. Gardner earned second-team all-Metro accolades in the 200 free, 100 butterfly and 200 medley relay. Bowne is a second-team all-Metro swimmer in the 100 breast and 200 IM and Weidholz was second-team all-Metro in the 200 free. Trainer will help out Sunset's relays and lend her talents to the freestyles and sprints. Figuring out where each swimmer fits best in the team construct in order to get the optimal amount of meet points is a tough balancing act, but head coach Adam Farber is one of the best in the business at tinkering with lineups and putting his squads in the foremost position to succeed. Give him speed and ability and Farber has proven time and time again he'll maximize a team score at the state and district level while getting each swimmer to jump in on the team's ultimate goals. 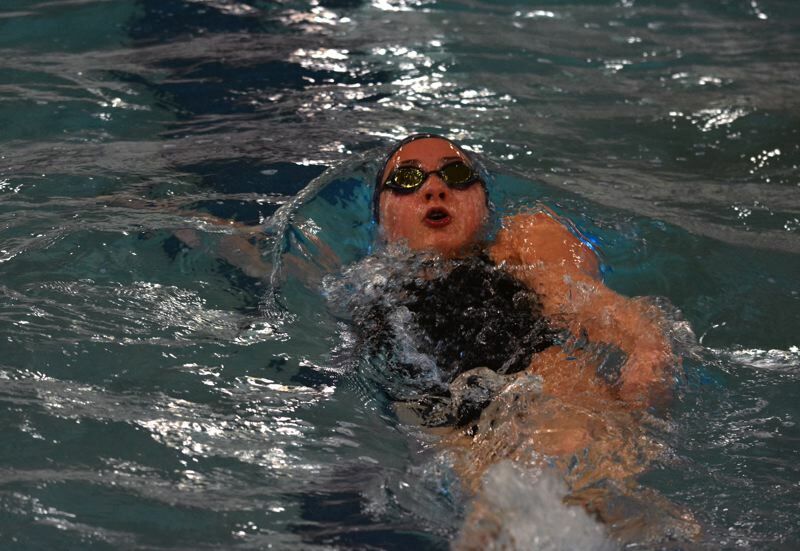 Kiki Lindsay won the 100 backstroke, Nicole Miller took first in the 200 free, Chin won the 50 free, Olivia Daniels took top honors in the 100 butterfly and 500 free and Weidholz won the 100 free against Mountainside. From the fastest swimmer to the last 50 free heat, the Apollos are priding themselves on a building communal bond that supersedes rivalries and encourages others. "When a few people were having trouble getting to the wall I liked how both teams were cheering and clapping, even if it wasn't their team," Trainer said. "We came together as a whole meet."